A good place to try traditional Bergamo dishes is the Antica Trattoria La Colombina in Borgo Canale just outside the walls of the Città Alta (upper town). The house is open to the public at weekends only. Check the opening times with the Tourist Office in Via Gombito. 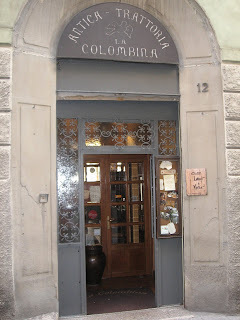 La Colombina occupies the ground floor of a very similar house at number 12 Borgo Canale. The restaurant is in the main salone, but there is also a terrace for dining outside in the summer with beautiful views over the hills and surrounding countryside. The restaurant is decorated in traditional style and has an ornate ceiling and an original tiled floor. Among the antipasti served are typical Bergamo salami, ham and artichokes and sfogliata -- a type of pastry tart -- with zucchini and cheese with a tomato sauce. Primi piatti (first courses) include casoncelli alla bergamasca, risotto with asparagus and gnocchi with verdure and branzi cheese. 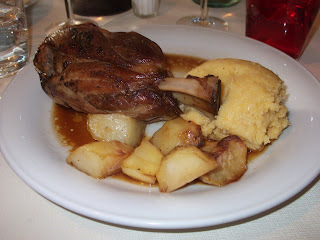 Among the main courses on offer are polenta taragna with funghi porcini, brasato (braised beef) and stinco al forno (braised pork shank) both served with polenta. When I tried out the restaurant last month (March 2011) I found that the food was well cooked and the Valcalepio wine was reasonably priced and very good. (liqueurs) at the end of the meal. 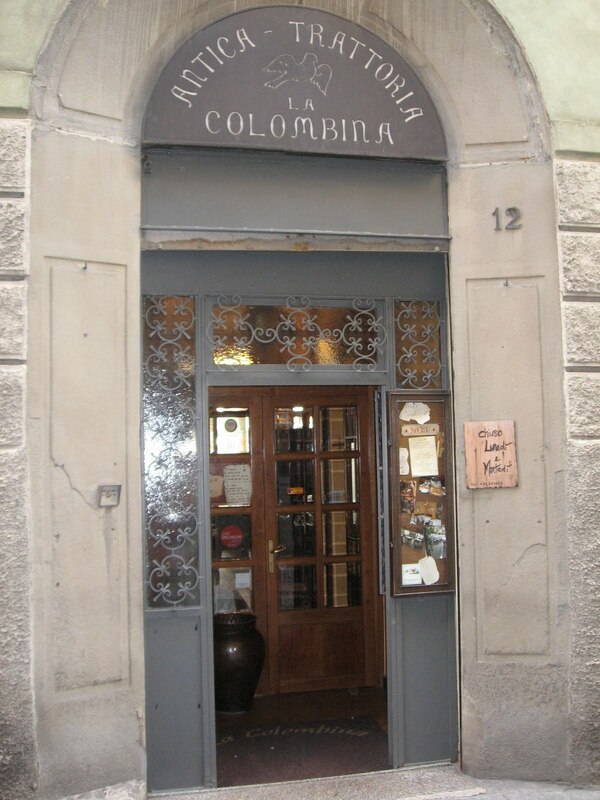 La Colombina is closed on Mondays and Tuesdays. For more information visit www.trattorialacolombina.it.